I am a Cancerian, and well, that explains my love of water. Not just the watersport, Shower time is my favorite ritual. After all, the best way to wash away a bad day or remorse feelings is to take a good head bath and feel rejuvenated. You may like to watch my video on how to do a good spa at home or read that post here. 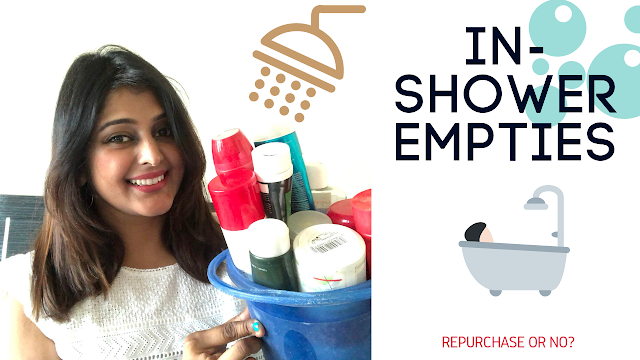 Coming back to shower, your shower is incomplete without appropriate in-shower products. No wonder, I keep reviewing loads of shampoo, conditioner and of late shower gels in my Youtube videos. One such video you may like to watch is- August Favorites from my archives. Of late, I am doing more reviews on my Instagram than the blog. I have been trying new products and have accumulated quite a few empties. 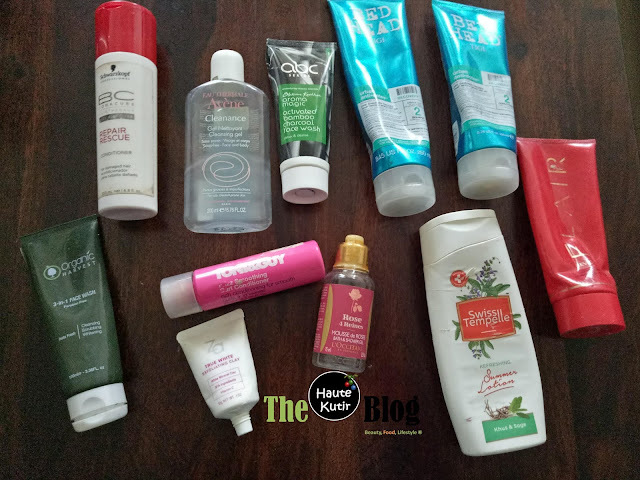 Well, they are not just hair care - Shampoo and conditioner varietal but also includes some interesting body wash and face wash among others. I hope you liked that video. In case, if you have any viewing difficulties, you may like to watch this video directly on my YouTube. Also, do not forget to subscribe my channel if you liked my video. I am planning some awesome videos soon. Here are the pictorial references for all the products shown in the video. Do you see a common product here? Would you have any question about any of these products, do let me know.